INDIANAPOLIS – Three University of North Georgia student-athletes have been granted a Degree Completion by the NCAA as announced on Friday. Baseball player Josh Bryan, women’s soccer player Megan Gil and women’s basketball player Kelsey Hutchins were each awarded the $6,000 grant. 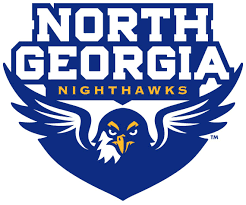 The trio joins former men’s basketball player Tanner Plemmons to become the fourth North Georgia student-athlete to earn the honor in the last two years. The NCAA established the Division II Degree Completion Award Program in 2001 to provide deserving student-athletes financial assistance for them to complete their first baccalaureate degree. Candidates will be students who have exhausted their athletics eligibility and have received athletics financial aid. The selection process for the national award emphasizes the academic performance of the student-athlete. Other factors considered are financial circumstances, athletic achievement and involvement in campus and community activities. To date, nearly $4 million has been given to approximately 1,000 deserving student-athletes. Of those student-athletes who have received the award since its inception, 94 percent have earned their undergraduate degree using this program.